Corinna McClanahan Schroeder’s poetry appears or is forthcoming in Tampa Review, Shenandoah, The Gettysburg Review, and Copper Nickel. 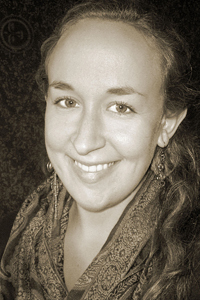 She is a 2010 AWP Intro Journals Project Winner in poetry and was a finalist for the 2011 Ruth Lilly Poetry Fellowship. She received an MFA from the University of Mississippi and is currently pursuing her PhD at the University of Southern California.